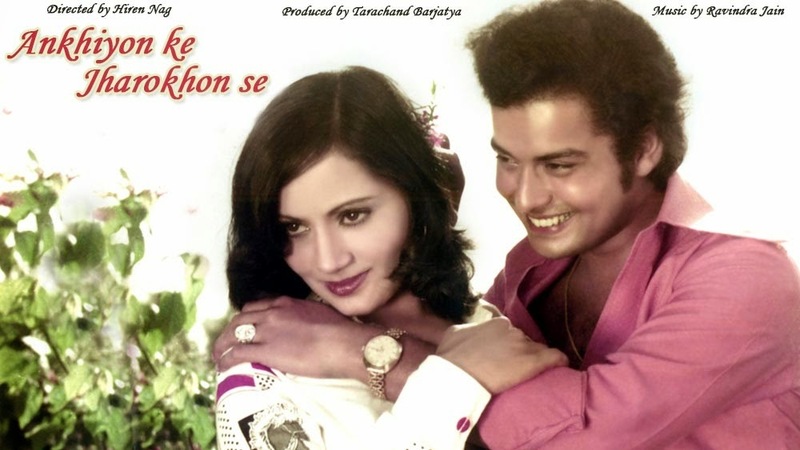 Today (16th March) : It completes 36 years since the movie "Ankhiyon Ke Jharokhon Se" was released.Music director Ravindra Jain who composed music and wrote songs for this movie was nominated for Filmfare Awards in two categories as the Best Lyricist (for title song) and Best Music Director. The title song became equally popular which only a person who has lost his eyes can truly appreciate. Rajshri Films decided to adapt this into a movie which was based on the best selling novel "Love Story" by Erich Segal. The title song even today has been soothing the ears of music lover’s post three decades of its release . . .